After a credentials and chemistry meeting, the sweet treat business chose to partner with F&f to develop their new brand and identity strategy. 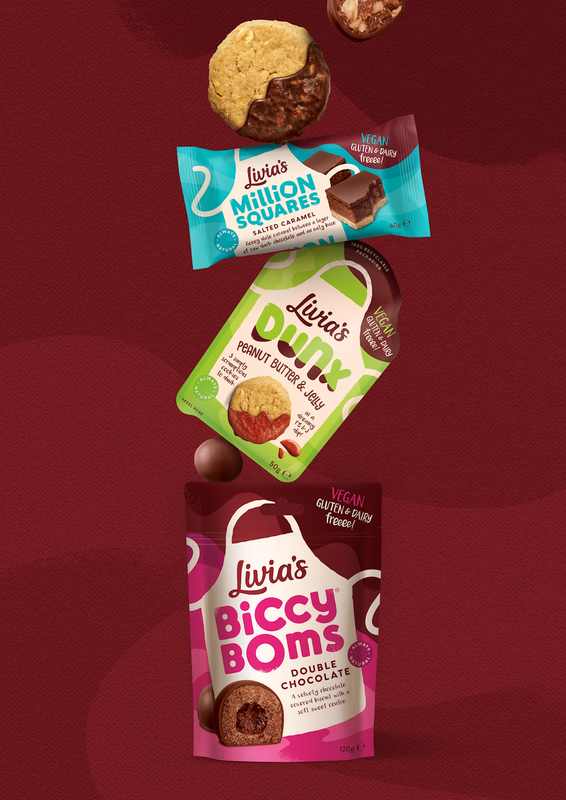 “Going forward, the brand’s ‘big idea’ is around inclusivity - to allow consumers to say “yes” to a sweet treat, with no sense of missing out. It’s also a driver to help widening the appeal to families and guys too” says Derek Johnston, strategy director at F&f. A new tagline, #bettertreatyourself! has also been introduced to connect the brand’s big idea with consumers across all comms, especially social media platforms. The new design is bolder, richer and livelier, taking the already iconic apron and giving it more character and movement” says Alex Durbridge, Creative Director. “'Better for you' and 'free-from' have in the past been a wall of worthiness - with the category now being better understood, it’s time to have some fun again. 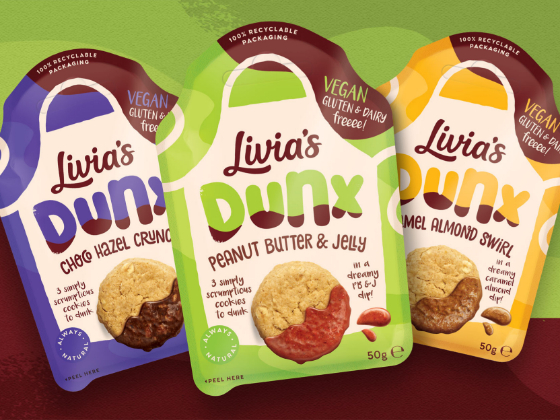 Overall we have made the whole range more exciting and joyful, a much closer reflection of Livia herself and her very moreish treats”. "Whilst the Livia’s team is small, there is great ambition and bravery. Working with Olivia and her team has been an amazing experience and we are excited to build the brand out for a big future" , says Derek. 0 comments : Ditchin' the kitchen!